Jurassic World Evolution, a new game tied to the theatrical release of this month’s Jurassic World: Fallen Kingdom, is a park simulator similar to Planet Coaster from last year or Zoo Tycoon from years before that. 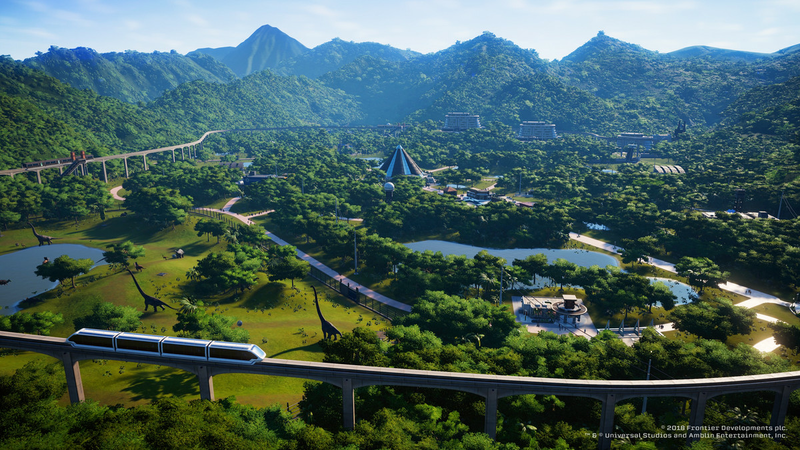 Players loved those Frontier Developments games, and a park simulator based on the universe of the iconic Steven Spielberg movie from 1993 sounds too good to be true. Jurassic World Evolution exceeds those expectations. Games like Planet Coaster — filled with deep systems and unique customization — can be extremely overwhelming to jump into. 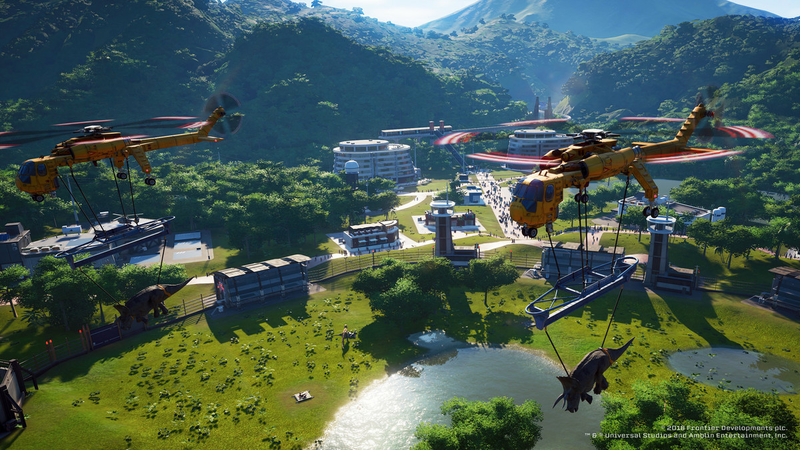 Jurassic World Evolution eases you into owning and operating a dinosaur park smoothly. As I entered the Evolution’s tutorial, I kept wondering when the real game would start in earnest. A few minutes later, I realized the game never asked me to put something somewhere specific or gated me from constructing in the order I chose. I was given the freedom to build the park I wanted from the outset. Evolution is smart about how it teaches you game mechanics. I’m only about eight hours in, but I’m still learning new features at a pleasant pace — although I’ve never felt like I’m missing the tools I need. You’re thrown into the world and asked to complete a specific task like incubating a Triceratops. If you execute the instructions before you’re told, the voice lines keep going and you move on. This is all assisted by the soothing voice of Dr. Ian Malcolm (Jeff Goldblum) and some other recognizable faces. Before too long, the characters stop asking you to do as much, and you’re free to build at your own pace. The missions you’re given by your three advisory wings — entertainment, science and security — are straightforward and flexible. You may be asked to incubate a certain kind of dinosaur, but you can place it into the world however you want. For example, the first few dinos you’re asked to care for are herbivores. Before too long, you’re tasked with caring for a Ceratosaurus — a medium-sized carnivore with a horn on the edge of its nose. When you first release the Ceratosaurus from your creation chamber, it saunters into your existing exhibit. Fail to pay close enough attention (I wasn’t) and the Ceratosaurus will start chomping on your salad-eaters. This is great for the Ceratosaurus, as it gets to hunt and stay nourished. It’s less good for your Struthiomimus — the very small herbivore that Ceratosaurus probably just ate. In a fit of panic, I dispatched my helicopter — which you can pilot surprisingly well yourself from a third-person perspective — and knocked the Ceratosaurus out cold with sleep darts. I quickly built a new pen on another part of the island and airlifted the Ceratosaurus to its new home. I even put in a live-bait dispenser so it wouldn’t get too bored. Instead of attaching a new creation lab to the second pen when I engineered my second Ceratosaurus, I went with a less expensive, less pretty solution: I walled off a section of my old pen, released the Ceratosaurus, knocked it out and moved it over to the carnivore pen to be with its cousin. It wasn’t an elegant solution, but it was my solution. The game never told me to build another pen or move the dinos to their own area. It taught me how to do those things, but it let me create what I wanted when I wanted. I wanted a dino paradise, but I could have just as easily built a Jurassic thunderdome. The early missions never feel constricting. Each thing I can’t build requires a new building on a new island. There are times spent waiting for your numbers to go up or for your expeditions to return, but the wait is worth it for the sheer freedom you’re given from the start. Once you’ve done well enough on one island, you’re invited to take over another as well. They don’t share resources, which is a bit frustrating, but they teach you a new facet of problem solving. The second island teaches you how to manually repair things that are broken, and to shield civilians from dangerous storms or dinosaur attacks. The third gives you an island in debt and asks you to fix its bottom line. Each new island is bigger than the last, and ends up giving you back most of what you had before. It can be annoying to build back up to where you were in terms of buildings, but you’re able to leap so much farther ahead that the frustration of retreading is quickly forgotten. But if you’re not careful, you’ll outpace yourself and everything will start to go wrong at once. Run out of money? Well, now you can’t add or remove foliage to make your dinos happy, which will cause them to break the fences. But you can’t repair fences because you have no money. All of a sudden you went from printing money to owing $400,000 worth of legal fees. You better hope that you have a nest egg somewhere, or you’ll be responsible for yet another disaster at Jurassic Park. Unlike the movies, Jurassic World Evolution has an amazing rollback feature where you can simply restart any island at any time. It can feel like you’re losing progress, but you’re really just going back in time with knowledge you’ve already acquired. When I got too ambitious on my third island and everything went bad at once, I rolled it back and thought about where I’d gone wrong. As a bonus, you get to keep all the research and fossil progression you made during your failed attempt. On my second go-round, I was able to avoid my mistakes and return to where I used to be in no time. The Jurassic Park series has always been about failure. One man’s hubris is so massive that he thinks he can control an ancient species brought back to life. Things go terribly wrong, and many people pay for it with their lives. The sequel trilogy follows the same general path on a 2018 scale. 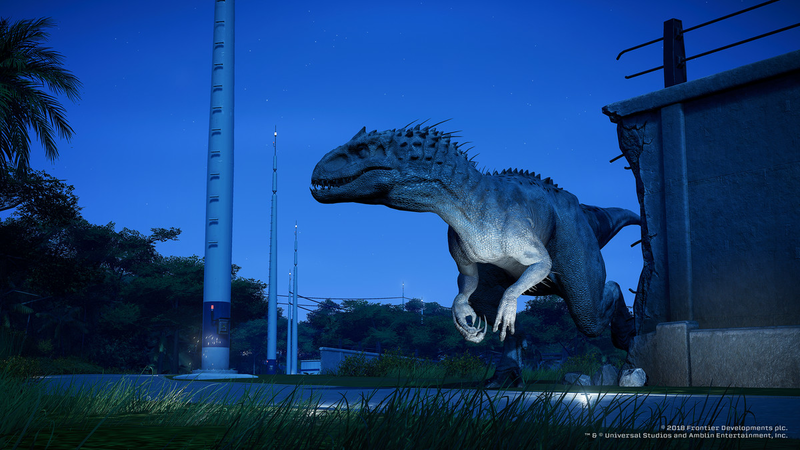 Jurassic World Evolution asks you to fail as a dinosaur keeper, but it lets you return to the task without consequence. 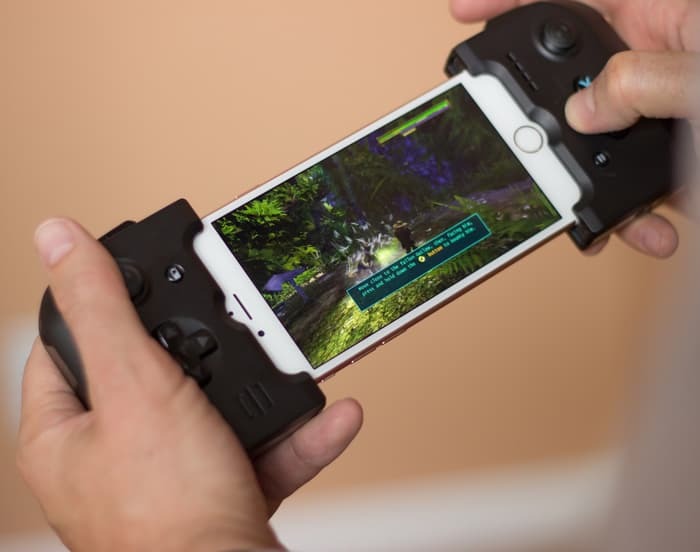 You’ll be John Hammond the first few times through, watching control slip through your fingers as “life finds a way” to reclaim all you’ve worked so hard to build. But with practice and patience, you can build and maintain the park that the movies show in the first hour. In Jurassic World Evolution, you can finally create a Jurassic Park to be proud of. To read more, check out our opinions on the end game of Jurassic World Evolution. Jurassic World Evolution was reviewed on Windows PC using a final “retail” Steam download key provided by Frontier Developments. You can find additional information about Polygon’s ethics policy here.